Working with a local business, as opposed to a large corporation, can truly change your customer experience. There’s no 800 number, you aren’t talking to some nameless person in another state who doesn’t particularly care about what you need. Proglass is part of the community. Charles Kramer has been doing glass his entire career- design, specification and installation. As the owner of the company, he is the first point of contact for every client. Understanding what the customer wants, making time to answer questions and offer advice, is the best way to make sure the job will be done right. 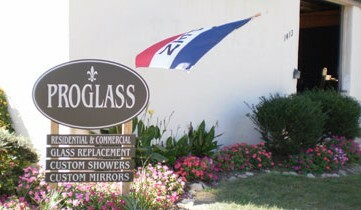 Proglass is fully-bonded and insured and we are committed to making your project our most important job. Please call us at 919.269.9597. We look forward to working with you.